I’m glad your daughter liked it. I originally planned to do a trilogy and take Blake back to discover a secret manuscript in Tibet and then into China in search of the Panchen Lama (the youngest political prisoner, held by the Chinese). But sales don’t justify the work. Your daughter is one of only a handful of kids who actually found the book. 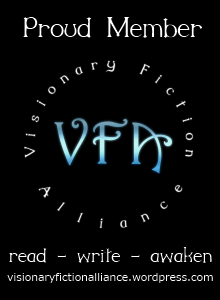 Most of my readers are adult women with a spiritual background. I do have another novel under consideration with a publisher now (and fingers crossed), hope to have it under contract soon. Abundance – No matter how down I feel or the problems I’m facing, I wake up every morning and give thanks for all of the good things I have in my life – a loving husband and family, women’s circle, close friends, and freedom in the U.S. It’s always easier to focus on what we don’t have because we just take for granted the good things we already have. I use a gratitude journal. I have tons of journals. I have tons of books too. I guess I own more books than clothing. My gratitude journal helps me focus on the amazing abundance I have in my life. It has also opened doors I never would have imagined. Now I am a blogger! Mostly what I have is this moment, this breath. I wish you an abundance of peace. I ask for some money to help out my mom and family because this is the year I decided my charity would start at home. I have plenty of family that needs help. I was blessed with a small windfall. Small to some but big to me. This has come with it’s own set of questions. I’ve been able to help my mom in small ways which makes me feel even more blessed but sometimes someone has a need and I want to argue that it’s not the way that “I” wanted to help. I have to tell myself this is what was presented to me and it’s not up to me to decide what they do with what I’ve been given, to give them. This I struggle with. Many blessings for you this year also! abundance is hidden everywhere, and aren’t we lucky to be not only its recipients, but a part of discovering and sharing it with others? God gives me true abundance! In the midst of a big life transition, the abundance I am most grateful for is loving, kind, generous friends and family to buoy me up. 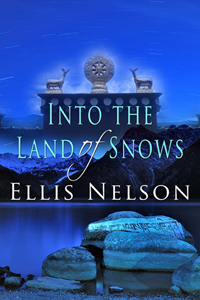 You are the winner for the free ARC copy of Into the Land of Snows. Congrats! Please send me your mailing address by responding to me at: himalayaspencerellis@yahoo.com. I have an abundance of so many things this year! Love, health, faith, family, and patience. Patience due to the abundance of snow we have here in West Michigan! Hi Ellis, I’ve been meaning to order your book but haven’t gotten around to it yet, so I would love to have a copy. I was very fortunate to be able to retire from my day job this year, and that has given me an abundance of time and peace of mind to write. Thanks for the giveaway! I’ve been blessed with the abundance of encouraging and inspiring posts from bloggers on WordPress – that sustain me even in blue times. I’d like to enter. I’m focusing on the abundance of books in my local library, abundance of ideas to write about, and abundance of healthy, fresh, organic foods for the vibrant health of my body. Thank you for the drawing! Hi Ellis, love the cover. I, too, have been wanting to buy a copy, but have been blessed with an abundance of books waiting to be read. I’ve resolved to whittle down the pile to a certain point before I purchase any new material. If my name is drawn, I will ask you to send the book to a friend in celebration of further abundance. I’d like to enter! This is a year of new beginnings – abundant in avenues, but only two feet. 2) Sleeping through the night. 3) Having kids to cuddle. 4) Time and space to write. 5) Exploring my creativity. Love to support a fellow writer. I’ve been wanting to read this, but shamefully haven’t gotten around to getting a copy for myself. I would love to win so I’m happy to comment. ooh a book give away!! I have three children which means my life has an abundance of hugs, joy, and odd socks. Because I am a writer and I have given an abundance of books away, I am going to buy one of your books. Do not give one to me, but know I am interested in reading your book! I’d love to enter the contest! I have an abundance of great friends! Even if I don’t win, lots of luck with your book endeavors!! Ok how to do enter? Looks like a interesting book by its cover. You are entered! Count yourself abundant. Abundance in my life starts on awakening in the morning. I am old enough to appreciate that. I live in a country smothered by abundance, the U.S. Every month, I write a check to myself, the amount being “paid in full”, and signed The Law of Abundance. And every night before sleep, I review the abundance of the day, a mental gratitude journal. When I calm myself and find the quiet place, I am most grateful for the abundance in my life, for the hearts I know who complete the circle that is me. Abundance? What is abundant in my life is work. I have huge piles of it. School work, writing work, errands, chores, etc. Really, I have so much that if they put out collection bins at Christmas for people to donate their work, I’d gladly throw in several cans. Also, socks. For some reason I own a LOT of socks.